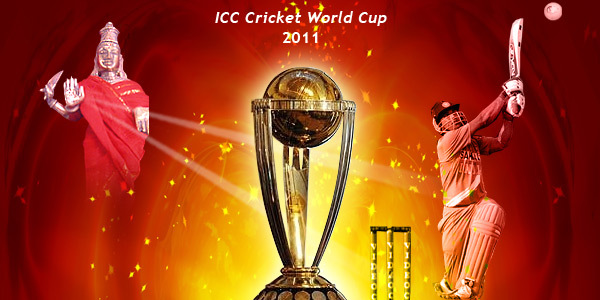 ICC World Cup 2011 will be the 10th Cricket World Cup and it will be hosted by the 3 South Asian Test playing countries namely India, Sri Lanka and Bangladesh. ICC World Cup 2011 tournament is commencing from February 19 and as the tournament is approaching near, the excitement of the ICC Cricket World Cup 2011 is also shifting its gears. Cricket has constantly been a major attraction as it is followed by millions of fanatics across India and the major question that arises in thousands of mind are: – Will India lift the 2011 cricket world cup? What are the chances of India in world cup? India has lifted the world cup under the leadership of Kapil Dev in 1983. Since then India has been under the quench for ICC World Cup. In 2003, India reached the World Cup Finals under the leadership of Sourav Ganguly, but fate was against India and it made millions of eyes red. The same circumstances cropped up at West Indies in 2007 were India got knocked out in the Knock out round itself, cracking the hearts of Indian supporters. What went wrong there? According to astrologers, there were certain factors; imperceptible and invisible hindrances that blocked India’s victory and which didn’t support India during the world cup time. If those obstacles were cleared, India might have even lifted the World Cup. Don’t you remember that India lifted the Twenty 20 World Cup Trophy in the same year and that too without many experienced players? How it became possible? It was all because of the favorable planetary positions. India is now one of the hot favorites to lift the ICC World cup 2011 and Indian skipper M.S. Dhoni also seems to be confident with the selected team. But what will happen if the planets won’t support India? Will India repeat the horrifying performances of 2007? In order to avoid this situation and to remove the indiscernible hindrances and obstacles, AstroVed is performing Mars Homa on 10th Feb.
Lord Mars or Chevvai is the significator of Games and sports. The placement and condition of Mars is crucial because this planet denotes valor, courage, patriotism etc. It also plays a major role in a sportsman’s physical strength and athletic performance. Performing Homa to Mars will boost the necessary power and energy of the Indian players for performing exceedingly well in their World Cup encounters. It will clear away the obstacles and hindrances which the Indian team often faces during World Cup matches. It will also pave the way for a smooth sail for India in world cup. It’s time to prove your passion for Indian cricket team by participating in the powerful Homa to Lord Mars for the success of Indian cricket team in ICC World Cup 2011.